His dad’s girlfriend reportedly punished him when he wet himself, but a video reportedly showed a young Iowa boy desperate wanting a restroom, screaming in pain before urinating on himself, while “stepmom” was present. 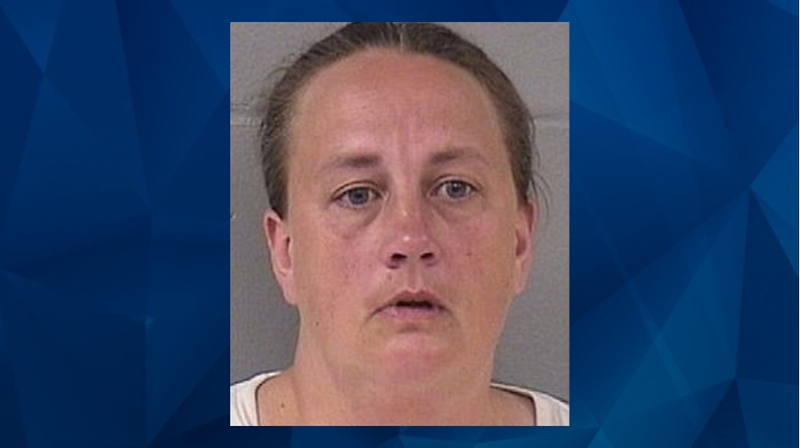 The Courier reports 40-year-old Traci Tyler, of Ackley, is currently on trial for first-degree kidnapping in connection with her boyfriend’s 8-year-old son. The boy’s father, 30-year-old boyfriend Alex Craig Shadow, is facing the same charges. He’s scheduled for a separate trial on June 24. Prosecutors alleged that Tyler abused the boy by confining him to a small locked room under a stairwell, where she left him for hours without food, and a coffee can for a toilet. Tyler and Shadow reportedly said they were only trying to discipline the child after having problems with him defecating and urinating in the home. Prosecutors said the video was “proof” of the abuse. Child protective worker Carol Allen paid a surprise visit to the Ackley home of Traci Lynn Tyler and Alex Shadlow in September 2017, asking about a dark, locked room Shadlow’s son had told his teacher he was forced to sleep in. For seven minutes, the child screamed in pain while holding his groin area, according to the cellphone video shown in court on Friday. He shuffled around, bent himself over, and cried out while someone continued to record the agonizing incident. Assistant Attorney General Tyler Buller said the boy eventually “loses control of his bodily functions and urinates,” while Tyler can be heard in the background. The video, according to an Iowa DCI agent who found it, came from Tyler’s cellphone. Similar videos that lasted around 30 seconds were also found on her phone. Defense attorneys said that the video wasn’t being displayed accurately. They argued that Tyler was given advice by “medical professionals” who allegedly told her the little boy needed to ask for permission to use the bathroom before going. “There’s no justification for that. It’s just unfathomable that a parent could treat a child this way,” Meyer said. When the boy told school officials he was locked in a basement at home, they contacted Iowa Department of Human Services. Social workers made an unannounced visit to the home and took pictures of the small room. Tyler reportedly told social workers that he placed in the room at night only for his “because of his bad behavior and food-stealing.” Prosecutors argued that the only time the boy wasn’t in the small enclosure was when he attended school or when he was made to carry a rock-filled backpack around the house. “She said she had caught him peeing down the vent in the floor of his room, and he would destroy her kitchen when she was not awake — he just didn’t listen,” child protective worker Carol Allen said during trial last week. Iowa DHS contacted authorities and reported the child was being abused. Ackley Police Chief Brian Shimon said police took the boy from the home. During their investigations, detectives noted that the small room had no lighting. Shimon said the little boy had been “locked in a dungeon,” in the dark. Further, Tyler is accused of hitting the boy with a flyswatter and telling him a dead dog was buried in the room, while encouraging another dog to attack the child. The boy now has post-traumatic stress disorder (PTSD) and permanent scarring on his body from physical abuse. As CrimeOnline previously reported, the young boy took the stand last week, clearly frightened while he clutched a Paw Patrol stuffed animal. He testified that not only did Tyler hit him with the handle of a flyswatter, but also with a rubber spatula and wooden spoon. He said he was “naughty” for climbing on counters, but he was hungry and looking for food. The boy also testified that during the times he was let out of the “cold” cement room, he was made to stand in the dining room. He said he couldn’t use the bathroom unless he asked for permission. Along with physical punishment, the child said he had to pick up rocks, put them in his backpack, and wear the backpack. Tyler allegedly showed no emotion while the little boy testified. If convicted, Tyler could end up in prison for life without the option of parole.